Hand made Swedish coin neckless. It's made out if a 5 öre coin which has been domed for a more interesting look. 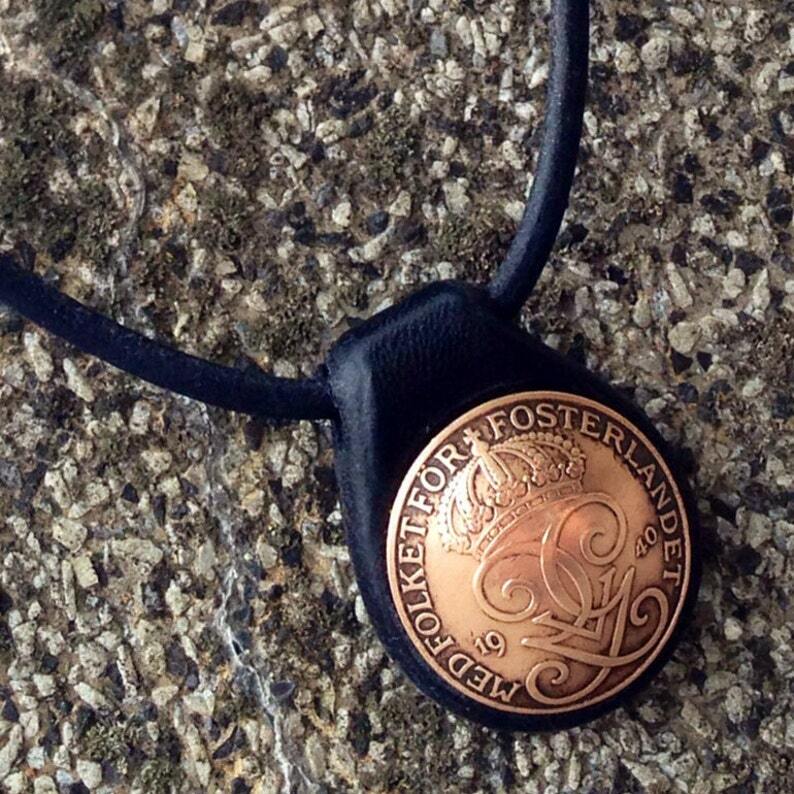 The coin is attached to a back pice made out of dual 3mm veg tan leather that has been hand dyed. The edges has been perfectly burnished to one uniformed smooth shape. The strap is made from the same leather and finished by hand with bees wax.